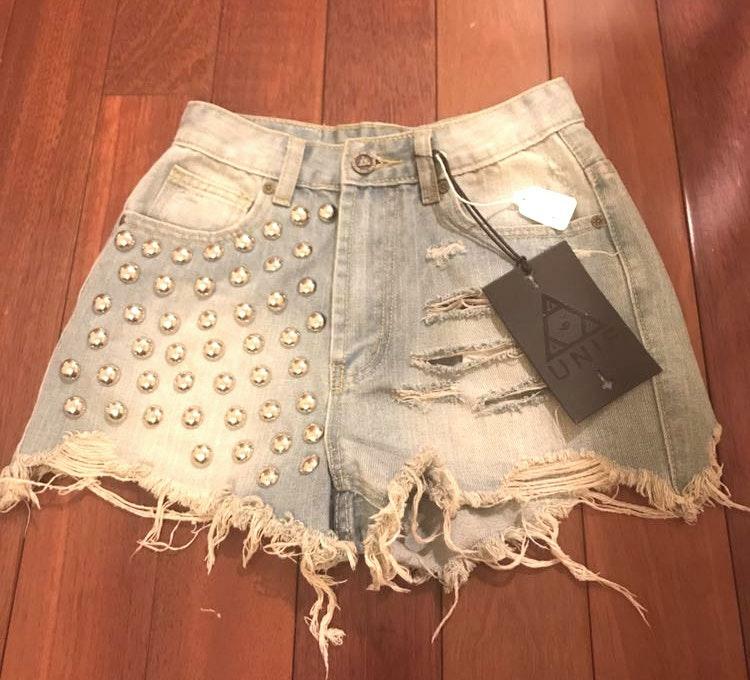 UNIF Frayed Destroyed Stud High Waisted Denim Shorts. Size 25. NEW with tag. Retails $115.